Dubai: A UAE-based company has developed the world’s first solar powered AC bed, which aims to hit the Middle East and Asian markets by the first week of December. Aries International Maritime Research Institute (AIMRI), in association with Aries International Interiors, an interior designing and technical consultancy company in Middle East and India are the developers of the project. The architect emphasised the solar AC bed will consume only 20 per cent energy compared to normal AC system, pointing out that those manufactured according to international standards will play a key role in cutting down the rising energy costs. “Conventional air conditioning system accounts 25-70 per cent of household’s annual energy expenses. Today 90 per cent of consumers rely on plant made electricity,” said Sohan Roy, a Naval Architect who created the idea. He pointed out It is time to adapt solar energy in order to save the environment from the dangers of global warming. Sensing the huge demand for renewable energy products, AIMRI developed the concept of solar powered AC bed after years of research and development. 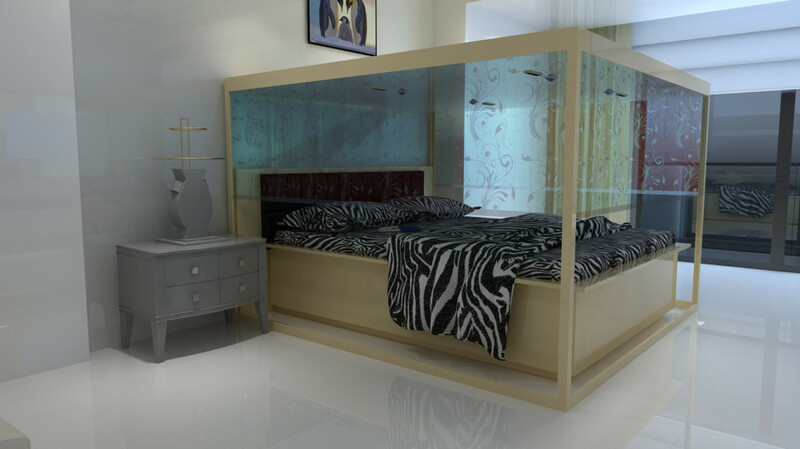 The solar AC bed available in 0.25 and 0.3 ton AC models, is insulated with transparent acrylic. It offers 30 litre day dehumidifying, 200 ml per hour humidifying. The system also consists of 2000W poly crystalline solar panels, 2KVA MPPT solar inverter and 4 no’s 12V 150AH battery. “We are providing solar AC bed with 25 years warranty for poly crystalline solar panels and two years warranty for solar integrated inverter. It is eco-friendly, economical, easy to use solar system, which will manage light duty equipment in home. It is easy to assemble and dismantle bed frame. The main advantage is that bed frame can be attached to existing bed,” explained Roy. If solar power is already installed, luxury AC bed frame will cost around USD776 and normal AC bed frame will cost around USD 388. “We also offer 2KW solar power system to run AC bed and other light duty equipment in home which will cost around USD 3100,” said Arjun Babu who is heading the project. The solar AC bed comes with R-134A refrigerant and has flexible inlet and outlet ducts. It is also portable with rollers, and will allow 80 per cent power savings. The beds are designed to run efficiently in all climate conditions with minimal maintenance cost, and can run on normal electricity too.